Few people look forward to tax season, and when you’re a new homeowner, filing can be even more daunting. Suddenly, you have new forms to fill out and more potential for making a mistake. But taxes aren’t all bad; homeowners get more tax benefits than renters. And if you can avoid these five common mistakes, you’ll survive tax season. If you bought a fixer-upper and you’ve put money into improving your home, you should be keeping a detailed record of your expenses. Some home improvements—like installing energy-efficient features or building an entrance ramp—may qualify for tax deductions. 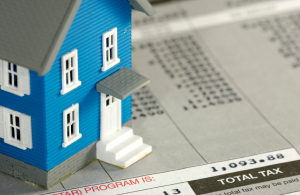 Other home improvements won’t qualify for an immediate tax deduction, but they can help you when you sell your home. Next > Customer Lifecycle Analysis in Real Estate-What Companies Are Doing This Right?